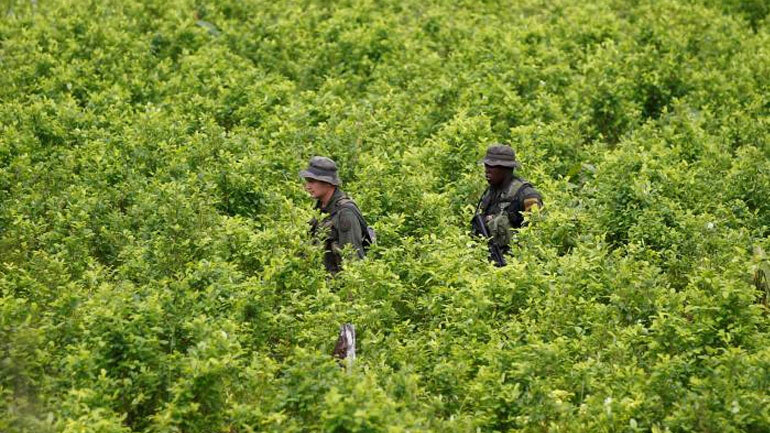 Colombia’s government have renewed concerns over a notable increase in the production of coca and marijuana in the South American country. Speaking on Thursday, Minister for Defense Luis Villegas said there is major concern on the government’s part in relation to the increasing hectares of illicit crops that are being produced. The minister also warned that new methods of industrial production have been detected. “The narcotics business has improved its performance, there are lower production costs and higher sales prices of both the leaf and the base. At the same time, the economic [profit] margin of the drug trade has increased on behalf of the devaluation of the peso against currencies like the dollar or the euro,” Villegas said. The Defense Ministry said it has been difficult for the entry of the security forces in indigenous territories and natural parks; and to places like Catatumbo in the North, Cauca in the South West and also along the border with Ecuador. Rafael Pardo, counselor minister for post-conflict, said the government seeks to halve the number of municipalities that are cultivating coca. He said there are 94 municipalities with less than 100 hectares of coca crops. Pardo said that the authorities are seeking an increase in eradication following a peace deal with the FARC rebel group, one of the main actors in Colombia’s drug trade. “The FARC has been an obstacle to the policies of eradication, intervention, and replacement and should now cooperate to reduce crops,” said Pardo. The guerrillas, currently negotiating an end to the armed conflict they took part in for 51 years, will abandon the drug trade if peace with the government is signed. However, other illegal armed group could take over part of the FARC’s once the guerrillas demobilize.